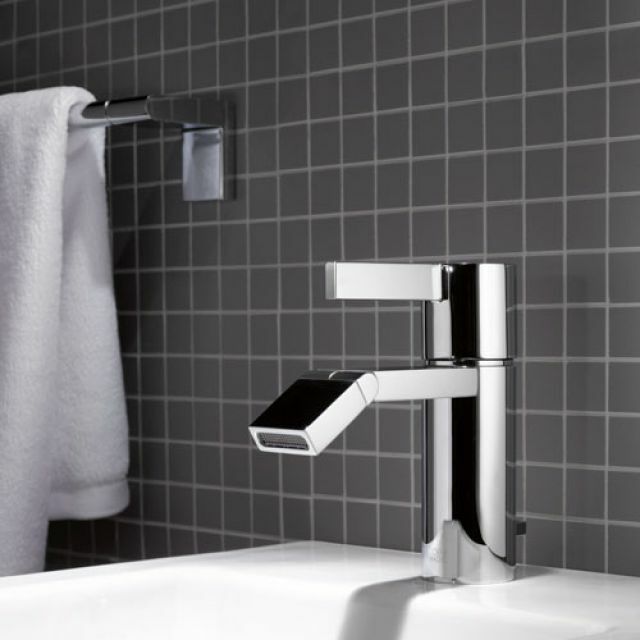 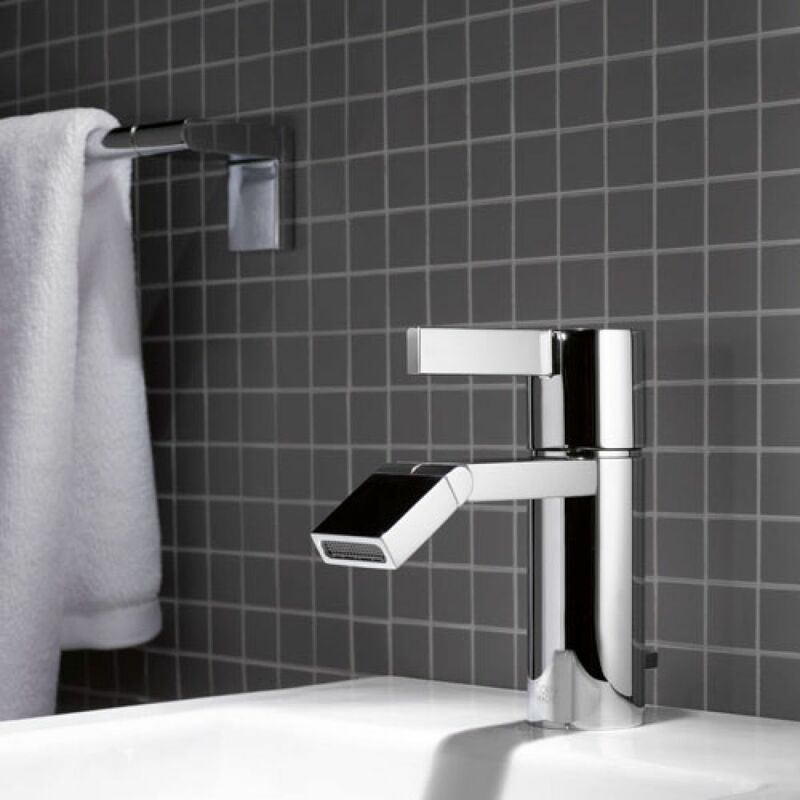 Dornbracht's IMO range is suited for a bathroom of modernist simplicity, and the Dornbracht IMO Single Lever Bidet Mixer with Pop-up Waste will add a modernist twist to your bidet. 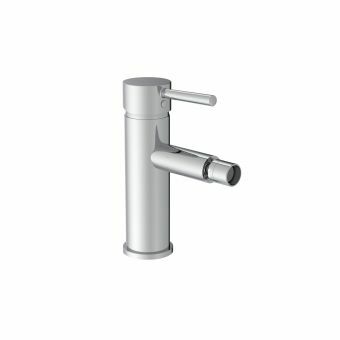 Stark, square lines meet with sturdy cylindrical design to merge functionality with visual flair in a high chrome finish. 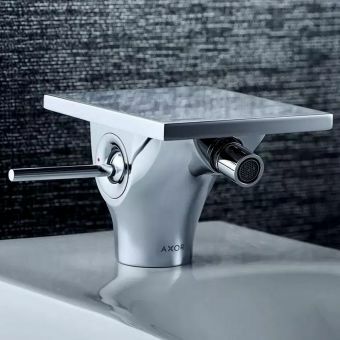 The adjustable nozzle gives 30 degrees of control over direction, with water flow and temperature easily controlled via the mixer unit for maximum comfort and ease of use. 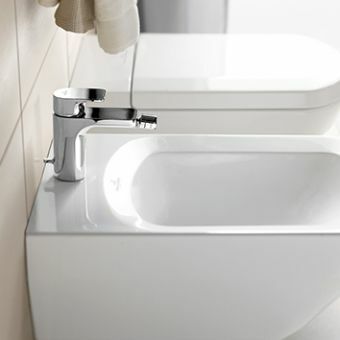 The discrete waste control lever is situated at the back, making this an all-in-one self contained control system. 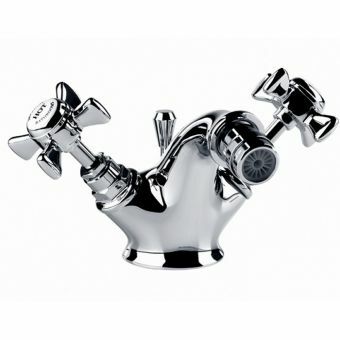 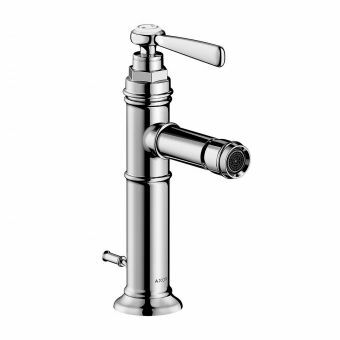 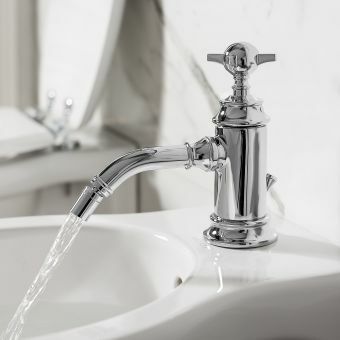 The main spout has a reach of 140mm, with a height of 190mm. 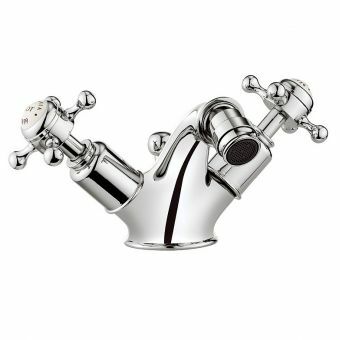 Please note that this system is only suitable for plumbing operating between a minimum of 1 and a maximum of 5 bar of water pressure.